We are Excited to team up with some awesome bloggers to bring you this Keurig giveaway!! Thank you to CrayZbee’s freebies. shawnie’s samplings & savings , We Heart Coupons, Lucky’s Bingo Corner,coupon coffee shop ,coupon cousins, Ezeebuxs freebies and more, Deep South Dixie Couponers & SalemSipNClip !! Happy July and Good Luck to everyone!! Go enter !! ~~~Giveaway starts July 2- July 16, 2012~~~~ the promotion is in no way sponsored, endorsed or administered by, or associated with, Facebook. USA ONLY & You are releasing your info to us not fb ! !We will not give out your info for any reason !! My Keurig is dying a slow death. Taking 3 brews to make one cup of coffee. I really need a new Keurig, being the coffee addict that I am. Would love a new coffee maker, I have a BUNN but I have a friend that uses the Keuriq and I've enjoyed her coffee as well. Thanks for the opportunity to win. Teddie said: thanks for the giveaway! To win this Keurig Coffee Maker would be AWESOME!!! Thanks so much for the chance..I appreciate all that you do!! Good luck to us all!! My daughter would be so thrilled to have this,she loves coffee,and is really into all the different variations and flavors in the “coffee world” lol,also she'll be off to school soon and this would be so convenient and easy for her it would be enjoyed and used any and all the time…would love to win this for her!!! AWESOME and thank you for this chance!!! 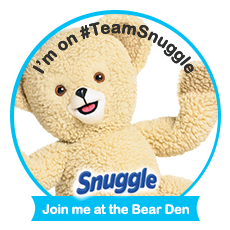 I want a Keurig Vue so badly, thank you for the chance to win! Thank you for the chance… HOPE I WIN!! Love my coffee,I need one of these!!!!! My Husbands birthday is on the 28th and he was just telling me how he would love to have one of these. Thank you so much for the chance to win one I am so excited and hopeful 🙂 Good luck to everyone! whew id love to win!!! Thanks for this awesome Keurig giveaway! I would love to win this I have a whole box of portion packs and no way to use them! Wold Love to Win! Always have wanted one! Thx. Thx.. for the chance to win!!!! Mommy of 4 one of which is special needs, I haven't really liked coffee but I am one worn out mama and need to like it. My hubby has one at work and has been begging me to try it in hopes I will change my mind about coffee and let him get one. But just like most of us trying to win this, we are on a very tight budget. I would love to win this for my hubby's birthday on the 28th! I've always wanted one but can't afford it. Thanks for the opportunity to win one. Would love one of these! I'm a BIG coffeeholic! LOL…These are so awesome looking and would look awesome in my kitchen! Will send you a pic if I win one! Good luck everyone! I'm so excited about this giveaway. Thanks for the chance. I would love to have one of these,,. I would love to win. Coffee addict. Thank You for a chance to win something so amazing.. Thank you for this giveaway. 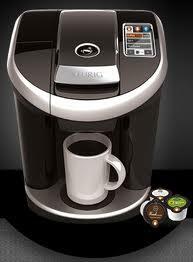 I want a keurig Vue so badly. I would flip if I won this!! Good Luck Everyone! I lovvve coffee! I want one! always on the run working in a hospital, dont have time to wait for a whole pot to brew, one cup at a time and run! this would be sooo handy! Have newborn, need coffee…enough said! LOL!